An interpreter for Magnetic Scrolls adventures. history. Enter the mag(net)ical worlds of Magnetic Scrolls. An interpreter for Magnetic Scrolls adventures. 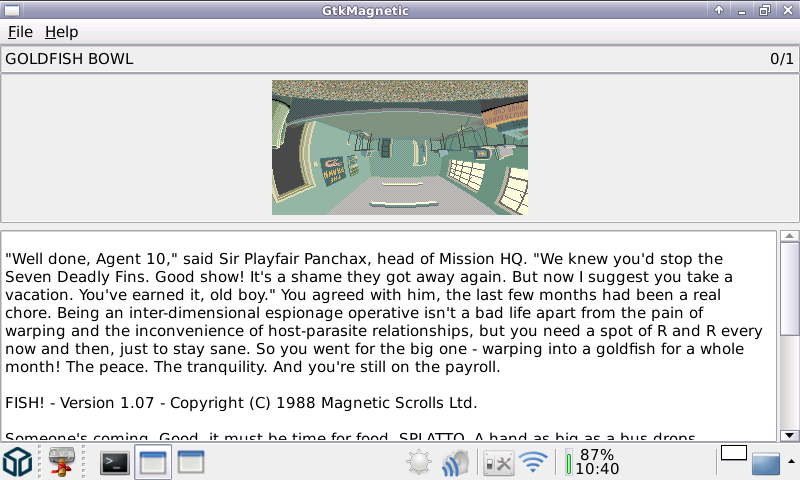 In the mid 80's a small British team of programmers called Magnetic Scrolls inspired text adventure fans all over the world with their fascinating games and soon evolved into the European answer to Infocom. 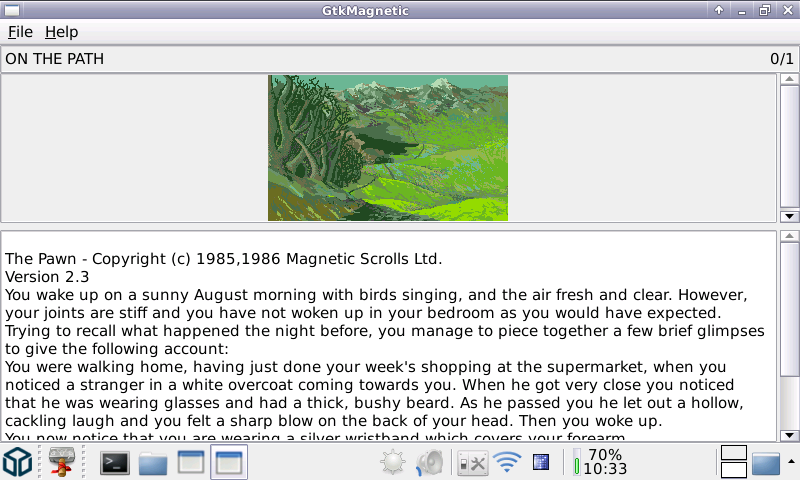 Magnetic Scrolls met the same fate with the other commercial text adventure producers and dissappeared with the conquest of the graphical games. But their thrilling stories, a trailblazing parser and excellent graphics made them an everlasting milestone in adventure game history. 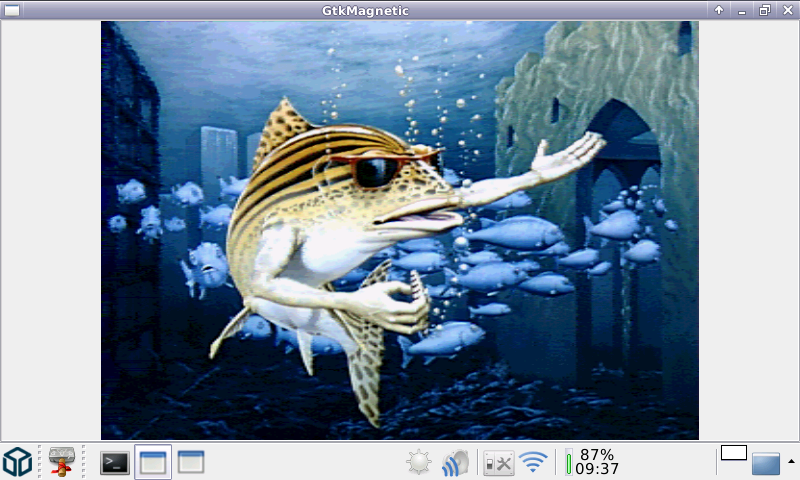 Enter the mag(net)ical worlds of Magnetic Scrolls. The original website can be found here: http://msmemorial.if-legends.org/. I had to remove the game files as there are license issues. Please have a look at the website http://msmemorial.if-legends.org/magnetic.htm and read the information there. You can also download the files on this website. Sorry for the inconvenience. The intro which was telling you where to get the game files was not working. If you already have an adventures directory and the game files there is absolutely no need to upgrade. What has changed since v2.3.0.30? Nice addition to the retro library for Pandora, thanks for the port.